If you take nothing else from this article, remember this: Changing your HVAC filter regularly will prolong the life of your HVAC system, saving you money on repairs and a potential replacement. Dirty and soiled filters cause your system to work harder than it needs to and can reduce the lifespan of your unit. Regularly replacing your filters according to your specific system’s timetable will not only help your system work as efficiently as possible, but also help to effectively remove dirt, dust, and allergens from the air circulating throughout your home. Using the incorrect HVAC filter will lead to one of two things – air is unable to pass through the filter and enter your system, suffocating it, or the air passes around the filter and directly into your system, bringing with it allergens and other debris. The harder your system has to work to breathe, the more wear and tear it will accumulate over time, shortening its potential lifespan. If air is entering your system unfiltered, you may need to have components professionally cleaned down the road. You’ll hear many people say to change all 1-inch filters every 30 days or so. While we agree, it’s much more important to change your filter when it’s dirty than by a timetable. Dust and debris accumulate more quickly during certain times of the year than others. For example, if you live in central Texas, you know that allergy season brings exponentially more pollen than other times of the year. It would be smart to change your filter more often to help alleviate pollen buildup in your home. If you’re prone to seasonal allergies, changing your filter every week during peak allergy season will help you live more comfortably! Skipping an HVAC filter change is the very definition of a penny wise and a pound foolish. You may save a few bucks in the short run by not purchasing a filter replacement, but that expenditure pales in comparison to the cost of a major repair or an eventual system replacement. Your HVAC system is one of the biggest investments you’ve made in your home – treat it as such and change that filter! A change in the season means a few things. New temperatures, new holidays to plan for, and new allergens in the air! It’s important to start with a clean slate to prevent excess buildup on your filters as well as keeping allergens from being circulated throughout your home. As a general rule of thumb, new season = new HVAC filter! While changing filters is incredibly important, it’s not the only maintenance that your system needs! Routine maintenance is invaluable as it helps to both catch and diagnose problems before they become bigger (and more expensive) issues. We offer a Maintenance Program that is both efficient and cost-effective! There is no substitute for having your system professionally serviced. If you’d like to enroll in our maintenance program, give us a call! Your HVAC system a big investment – one of the biggest you’ll make in your home. 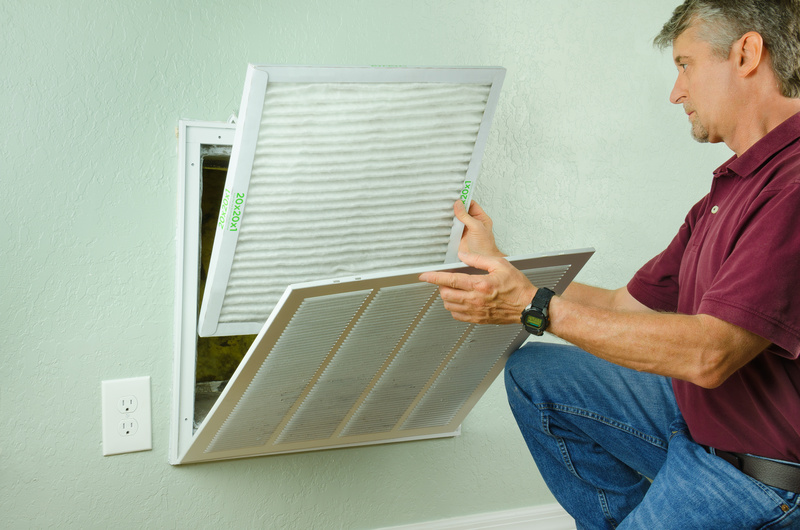 It’s important to prioritize its long-term health by regularly changing your HVAC filter. If you have any questions about what filter you should choose for your system, or if you’re not comfortable changing it yourself – let us know! We’re happy to help – after all, we bring total home comfort wherever we go!